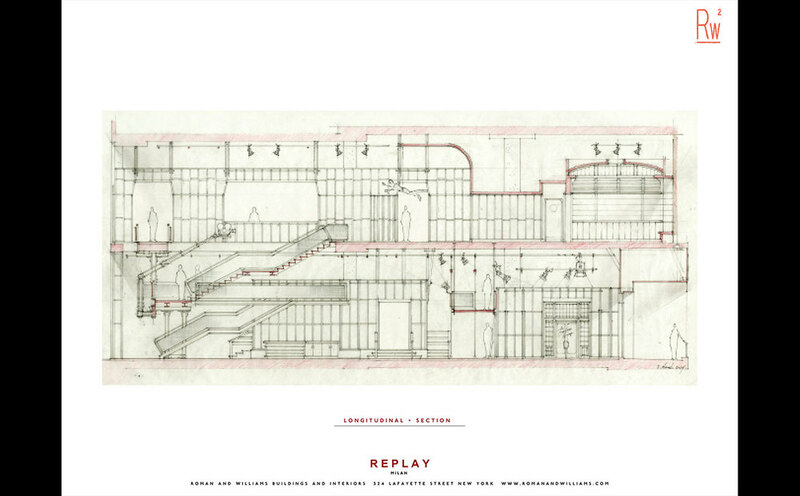 In 2013, Replay partnered with Roman and Williams to explore an immersive retail experience, starting with a flagship location that worked to re-establish the brand’s position as the top tier in Italian denim and international fashion. 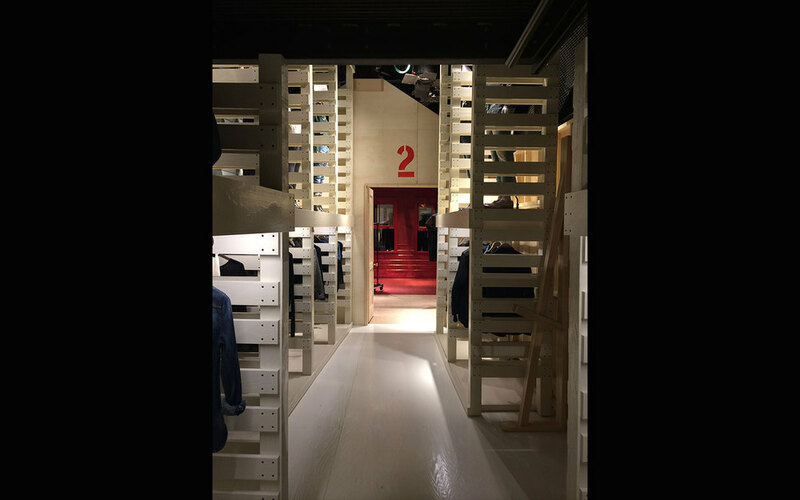 As a result of an intensive study of the brand’s history, values, and factory visits exploring the process involved in both denim design and the signature to Replay’s products, Roman and Williams conceptualized a strong vision. 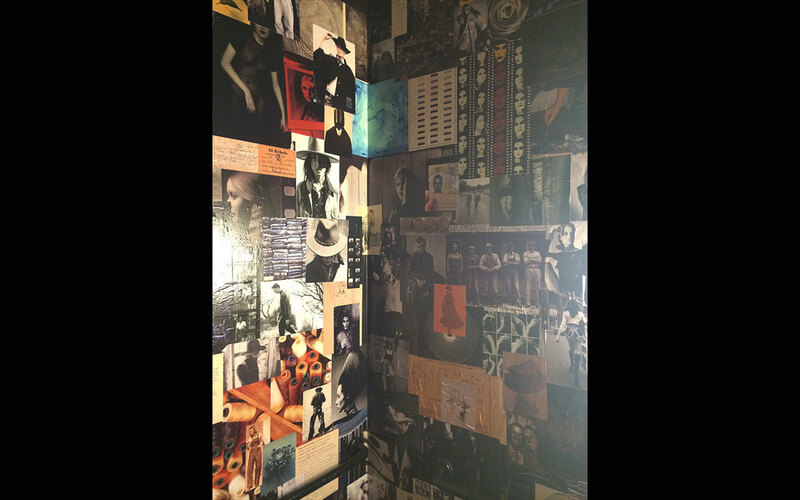 Inspired by denim’s connection to rebels of all kinds, from Hollywood to the homestead, The Stage was a product of Roman and Williams’ principals calling upon their own deep-rooted experience in set design and art direction in the film industry. 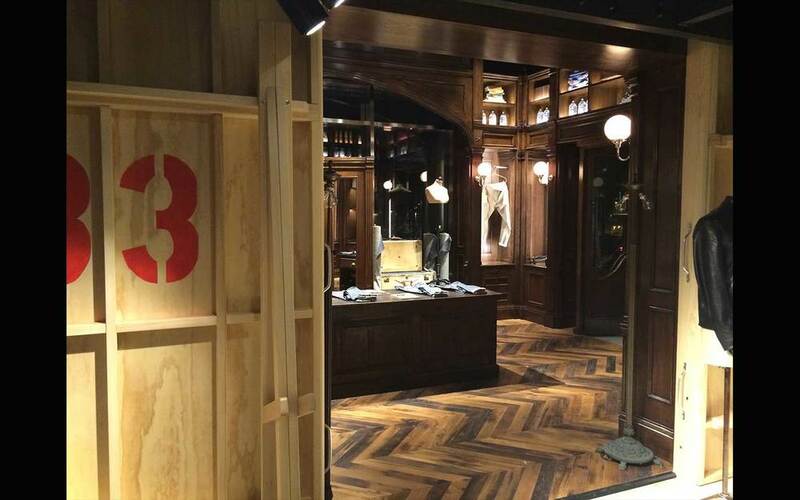 They transformed a concept of a soundstage, into a store, showcasing the storied sets with equipment and back-of-house scenes that embody the world of filmmaking. Guests enter onto a rough-polished concrete floor, finding a grid of film lights hanging from the blackened out ceiling above. 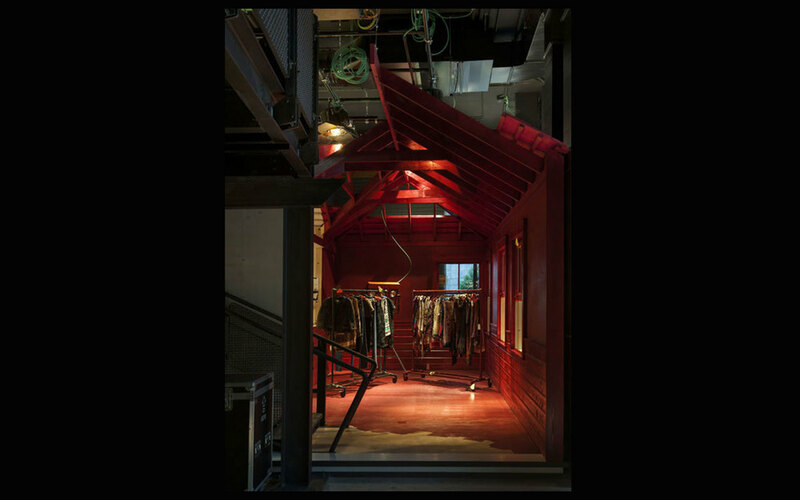 Wood flats acts as walls containing various stage sets from a Midwestern house scene with vintage wallpaper, to an abandoned American barn, or a 1928 Manhattan tailor’s shop -- each set adding an element of surprise. 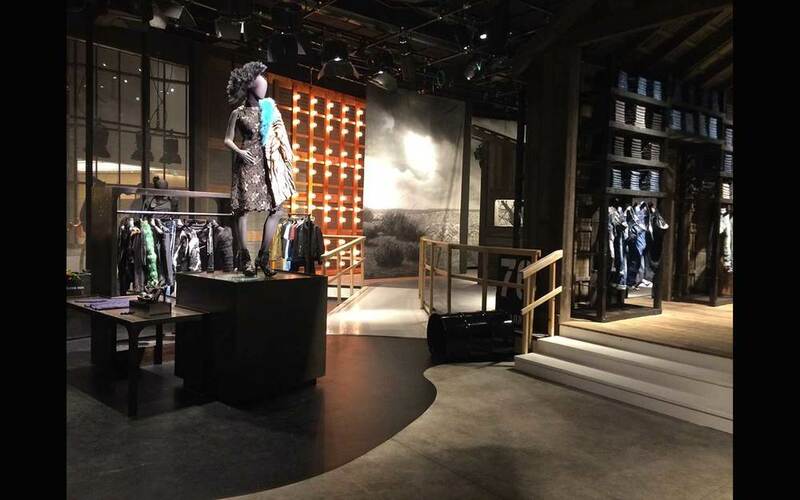 Details like a tornado represented through a kaleidoscope of swirling of brass butterflies, a painted desert landscape seen through a barn window, or a camera surrounded by robust lights and ladders create an amalgam of visual curiosity, a cinematic excursion, within an unsuspecting retail experience.